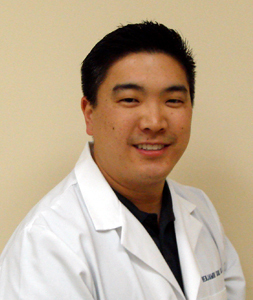 Ben Sun graduated from the Creighton University School of Dentistry in 2004 with recognition and awards in Restorative Dentistry and Public Health. He also served as student director for the One World Clinic where dental treatment was provided to less fortunate patients in the Omaha area. He continued his post-graduate education at UCLA’s Advanced General Dentistry clinic where he served as Chief Resident from 2005-2006, and worked as clinic instructor for UCLA dental students for 2 years. While at UCLA, Ben trained under several Periodontists and Prosthdontists, which allowed him to further develop surgical skill techniques for dental implants, laser therapy, and complex cases. He is a member of several dental organizations including, the Institute of Advanced Laser Dentistry, the Academy of General Dentistry, California Dental Association, and American Dental Association. Ben is married to his wife, Nichole, who works as an orthodontist in the Los Angeles area. They have two daughters, Jessica & Christina as well as a yellow lab named Bacon. Ben enjoys watching all sports, participates in a fantasy football league with friends and plays in an adult basketball league in Westlake during the week.